This two-day RYA Powerboat entry level course provides the skills and background knowledge needed to drive a powerboat and is the basis of the International Certificate of Competence. This course is provided by Perfect Day Watersports. 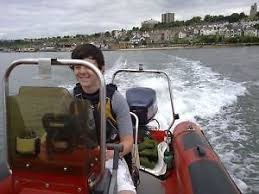 A RYA Recognised Training Centre specialising in Powerboat, Dinghy, Kayak and Canoe training. Perfect Day Watersports are based in Leigh on Sea, Essex.